Australis Capital is proud to collaborate, grow and innovate with trusted and dynamic partners. Aurora is one of the largest and fastest growing cannabis companies in the world with a funded production capacity of over 500,000 kilograms per year. Since establishing the Company’s very first facility in Mountain View County, Alberta, Aurora has demonstrated an unprecedented commitment to execution and growth. Today, Aurora has developed an expanding constellation of subsidiaries and strategic partnerships that provide differentiation through its broad global reach, high-yield production techniques, use of advanced technologies and innovative product offering. Rthm Technologies, Inc. has developed the #1 health app in 26 countries. As a privately held, federally incorporated company, Rthm holds several brand-associated trademarks and has developed the world’s first mobile genetics and circadian rhythm mapping platform for both iOS and Android devices. Among the most advanced digital health platforms in the world, Rthm has developed a complete suite of proprietary technology including advanced heart rate tracking and analysis algorithms and comprehensive circadian rhythm mapping techniques. Built and designed to support every customer in achieving their unique health and wellness needs, Rthm is a top ranked health app with millions of downloads worldwide. Wagner Dimas, a Nevada based corporation, develops technology for large scale manufacturing in a variety of applications including production scale rolling machines to mass manufacture hemp and cannabis pre-rolls and cones. Wagner Dimas licensees have experienced significant demand for both its co-packing and contract manufacturing services with over 40 of the largest cannabis brands, dispensaries and cultivators, tapping Wagner Dimas’ propriety hardware to produce unparalleled quantity and quality of finished product. Wagner Dimas proprietary processes and patented technologies are scaling to a new facility on pace to produce 50 million pre-rolls annually in the California market. 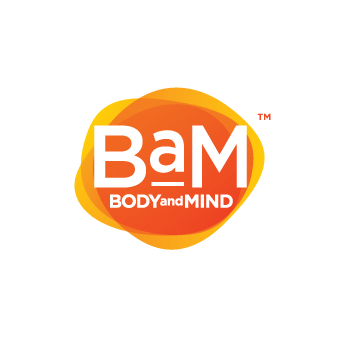 Body and Mind Inc. (BaM) is a publicly traded company investing in high quality medical and recreational cannabis cultivation and production and retail. Their wholly-owned Nevada subsidiary was awarded one of the first medical marijuana cultivation licenses and holds cultivation and production licenses. BaM products include dried flower, edibles, topicals, extracts as well as GPEN Gio cartridges. BaM marijuana strains have won numerous awards including the Las Vegas Hempfest Cup 2016, High Times Top Ten, the NorCal Secret Cup and the Emerald Cup. BaM continues to expand operations in Nevada and Ohio and is constantly reviewing accretive expansion opportunities. ShowGrow brand and dispensaries is well known for building customer-friendly dispensaries in high volume locations. Pulling from the diverse culture in California, ShowGrow has won OC Weekly’s 2016 & 2017 Best Dispensary of the Year. Recently acquired by Body and Mind, Inc., the dispensaries are in various stages of licensing: Long Beach has a medical license, San Diego has a conditional use permit, and Las Vegas has a recreational license. ShowGrow San Diego is in the building stage and is not currently open for business. Founded in 2013, Quality Green, an ACMPR-Licensed Producer based in Canfield, Ontario, strives for the perfect trifecta of optimized production efficiency, best practices, and standards, to result in the finest product. With a seamless expansion plan and a clear vision across all channels of their business, Quality Green is poised to capture unlimited opportunities within the cannabis space. With considerable momentum and a team focused on delivering on strategy and innovation, Quality Green demonstrates its commitment to owning its position as a leading cannabis producer. Folium Biosciences is the largest vertically integrated producer, manufacturer, and distributor of hemp derived phytocannabinoids in the USA. They own and operate the largest phytocannabinoid extraction and purification facility in the USA. The unique engineering process enables the separation and removal of unwanted compounds, while creating the maximum potency level of phytocannabinoids, terpenes, terpenoids, and flavonoids. 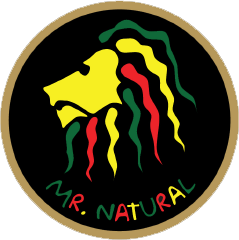 Mr. Natural Inc. is classic medical and recreational cannabis brand internationally known for high quality: strong, high-THC with long-lasting durations and intense terpene profiles and organic flavors. All products used in the cultivation of Mr. Natural’s cannabis are certified organic: soil-grown cannabis with real components and amendments in the soil bring out the plant’s true looks and flavors.